Do You Have A McDonald's Moment? McDonald’s has its long history of being one of the most famous family dine-in fast food restaurants around the world, and in spite of its recognition as a best fast-food restaurant, a huge chunk of McDonald’s budget goes to marketing campaigns. What’s different with McDonald’s marketing campaigns is the fact it realizes how important the digital media is in today’s times. Just like this recent campaign launched by the team that asked its customers to share some of their special McDonald’s moments that made a wonderful memory. 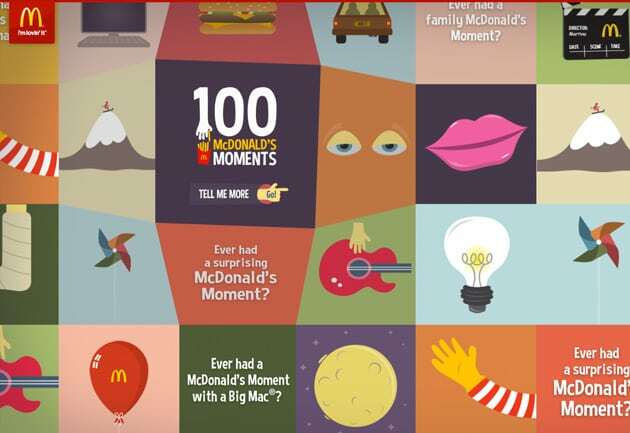 A hundred of such moments were selected and organized in a colourful and interactive tile arrangement on the fast food restaurant’s official website. Check out these moments by clicking the image below, maybe you can relate to some of them too!